I have had a funny love for the Discovery since the series 1 model. My dad had them for years and every time he got a new one I would spend what felt like hours playing around inside, pressing all the buttons, folding down the side mounted third row seats, popping open the second roof and generally doing what small children do best, investigate… Fast forward 20+ years and I finally have a Discovery of my own, a lovely black D3 with *nearly* all the trimmings. 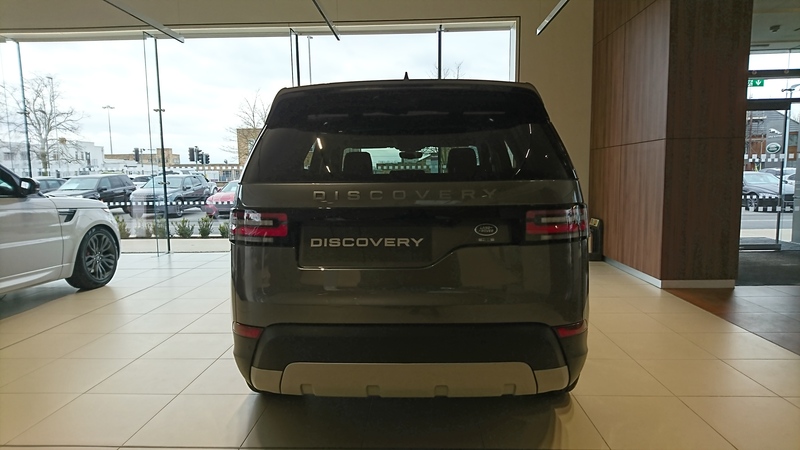 As a fan of the model, it makes sense that I would be keen to have a look around the latest offering from the green oval so last weekend I went down to Marshall Jaguar Land Rover’s swanky new dealership in Cambridge to get a closer look. First off, the new dealership over on Newmarket Road in Cambridge is fantastic. It’s a huge improvement on the old buildings with a lot space, a great airy feel and some fantastic examples of both current ranges on offer. 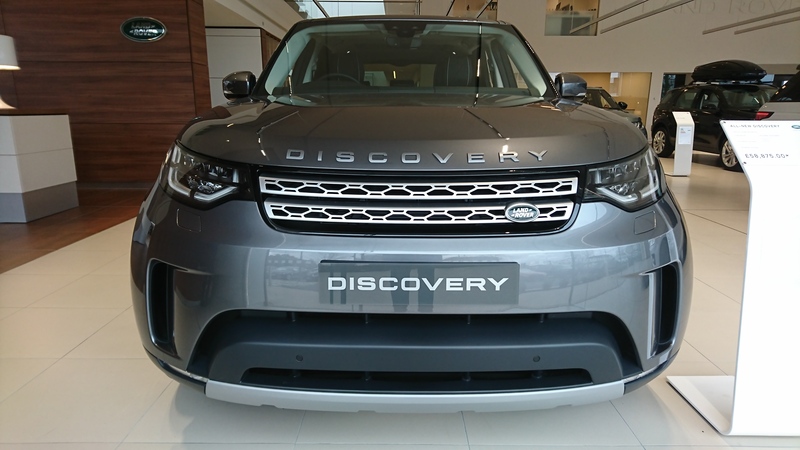 The New Discovery has been a funny one since its debut in 2016 leaving a very divided room with regards to its new styling and obvious new target market. To be honest I started off with a very positive view of it, I love the front styling and it is literally dripping with JLR’s latest tech, however, after getting close to it and having a play around with some of the convenience features, my opinion is definitely starting to sway. Now don’t get me wrong, inside it is a great place to be, especially in that drivers seat, however it just does not feel like a Discovery anymore. To me, the D3 was the last of the “proper” Discoverys with it’s big van-like exterior and comfortable yet utilitarian interior. The D4 maintained a lot of this (mainly as it was really just a face-lift with some new features and engines) but even then it was clear that Land Rover was going in a new direction with its iconic vehicle. I fully understand and appreciate what Land Rover are doing and why, it is just simple business and it makes sense but I can see it rubbing a lot of purists up the wrong way. 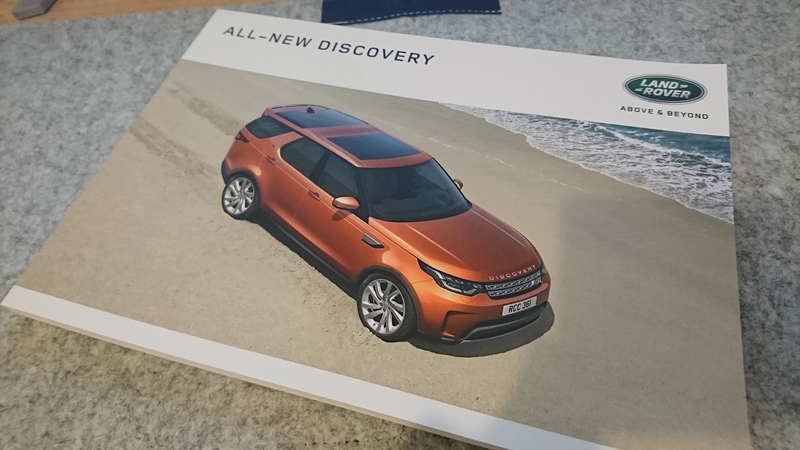 Land Rover have already said that they want to increase sales across their range from 500,000 to over 1,000,000 units so this is very much a step in the right direction for them. This mated to the recent unveiling of the new Range Rover Velar should mean an easy victory for them in the coming years. As this is a static test at the moment (I am looking to take one of these out on the road soon to do a full road review) I can only really comment on the design and tech features that DON’T need to be tested on the move. The biggest problem I have with the new convenience features is the new fancy electric seats in the second and third row… I understand that when you have your hands full of shopping or a small child in your arm, automatic systems and buttons make life a lot easier, however it just seems to be so slow. I can happily boast that I could set up the third row of seats in my Discovery 3 in a fraction of the time it takes the electric motors to do the same in the New Discovery. I can also fold the second row flat in a lot less time too. 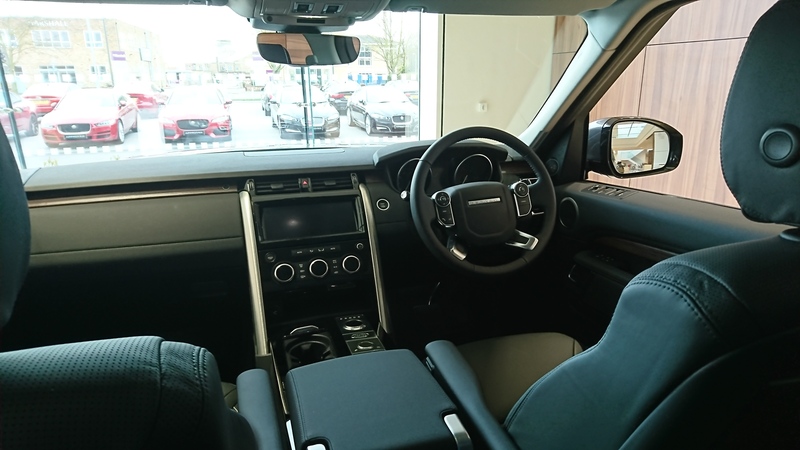 The other issue is with its new sleek and streamlined roof line, Land Rover have had to lower the third row to maintain suitable head and leg room for adults but this loses some of its “theatre style” tiered seating that always worked so well for the car. I have sat in the third row of both the D3 and the D5 and there is definitely more room and a more spacious feel in the D3, regardless of what LR claims in their literature. Another part of the car I am not really sure about is the dash. It’s a view I have with all the new JLR cars, and again I understand the reasons for it and I can see why the masses like it, but I am just not quite there. One thing I love about Land Rovers of old are all the big sausage-finger friendly buttons and knobs. They have a good form factor and are all pretty satisfying to use, but with the new “infotainment” systems you lose a lot, if not nearly all, of these buttons. I loathe how long it takes to transition from the Nav screen to the radio screen just to change a station and that after about 10 minutes the entire display is covered with splodgy finger prints. Other manufacturers manage to make this systems a lot more streamlined and also use a separate dial or similar and it works fine – the old system in my W221 S Class was brilliant, but the Land Rover one just seems to lag something chronic. It is definitely not all bad news though. I still think from the front it looks fabulous, and I also like the little homage to the previous models with its off centre rear number plate mounting, but you can definitely see that this is a car that has been designed to sell in big numbers to families and take on the likes of the current Audi Q7, the Volvo XC90 and the BMW X5 and it will compete with them very well, but it just doesn’t feel like it should hold the “Discovery” badge just yet… I am sure only time will tell with that one though and I have also been told by people who have already been lucky enough to put these through their paces on and off the road that it is a truly remarkable vehicle and more capable than any other Land Rover to date off road. Hopefully I will able to comment more on this in the coming weeks, so keep your eyes open for that!